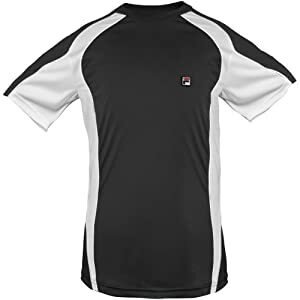 Your budding tennis star can develop his skills in the FILA ® short-sleeve boys’ tennis crew. It’s crafted using a moisture-wicking fabric that draws sweat away from the skin to keep any athlete cool and dry. The UV-protective technology prevents the sun’s harmful rays from reaching the skin. 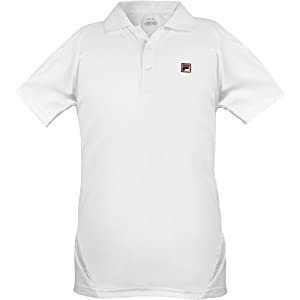 The Fila ® short-sleeve boys’ tennis polo is a comfortable and breathable addition to your little tennis star’s wardrobe. It’s crafted using a moisture-wicking fabric that draws sweat away from the skin to keep him cool and dry. 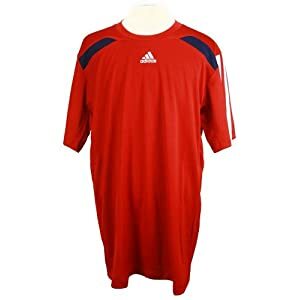 The adidas ® RESPONSE ™ boys’ short-sleeve tennis tee delivers the premium performance of the gear that the pros wear, and it’s sized to fit your emerging athlete. It’s crafted using the moisture-wicking ClimaCool ® performance fabric that draws sweat away from the skin to keep any athlete cool and dry.